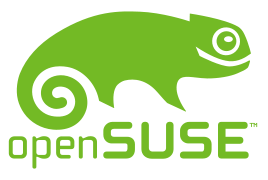 Interviews with people involved in the openSUSE Project have returned and new pages will be added in the future highlighting individuals involved in the community project. The first interview to be posted after a five-year hiatus was posted in November of 2016 and highlights Dominique Leuenberger, who is at VLC contributor and release manager for openSUSE Tumbleweed. Sarah Julia Kriesch, who is a Working Student at ownCloud and member of the Heroes team at openSUSE, discusses in an interview in published in March how she got started with Linux and openSUSE. The most recent interview published is from Leap release manager Ludwig Nussel, who is a volunteer for a fire brigade in Germany. The website has interviews dating back at 2007; when many people involved in the project had less grey hair;-). Current interviews focus on newer project members. Interviews include many people involved in the project who participate and contribute to many other open-source projects like Linux kernel developer and Tumbleweed originator Greg Kroah-Hartman, former openSUSE Release Manager and KDE Release Coordinator Stephan Kulow and more.